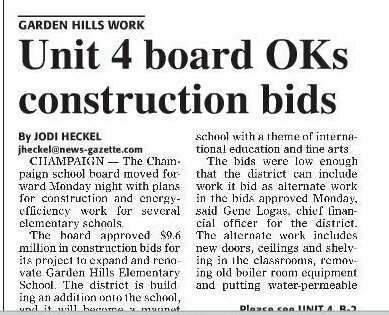 The first three articles are talking about the mural on Park Street in Champaign and how they plan on redeveloping them into office space and apartments. 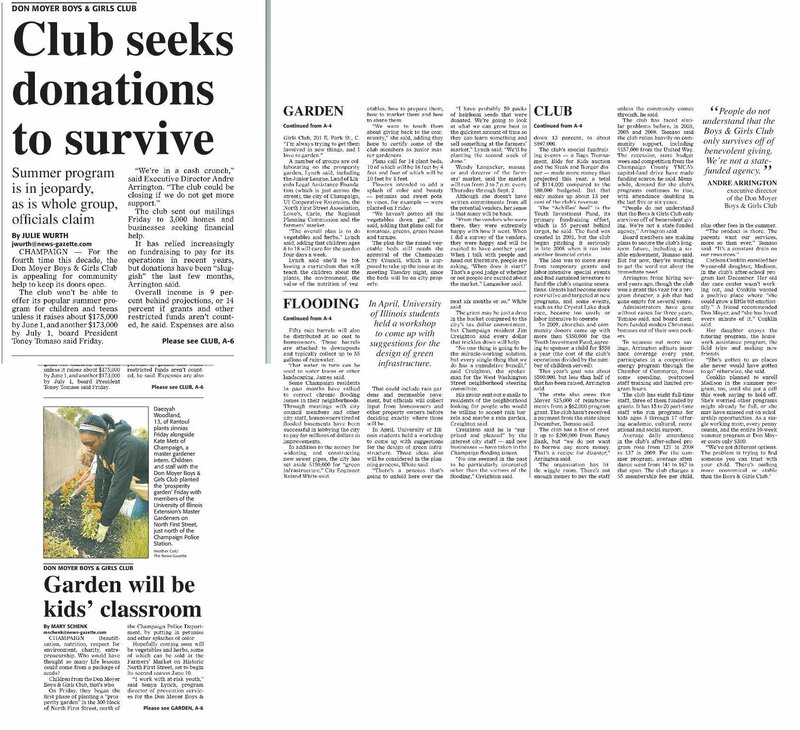 These next three articles talk about how the Don Moyer Boys and Girls Club needs funding for the club so that they can keep providing to the kids coming there and to the community. 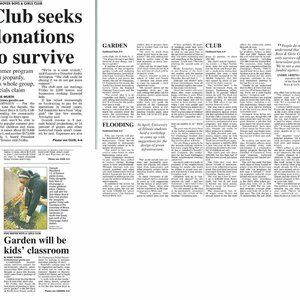 The last article talks about how they made a community garden for Mr. Mckinney who was a teacher at Edison Middle School in Champaign since 2002. 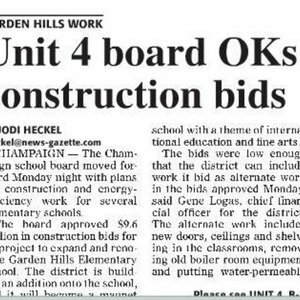 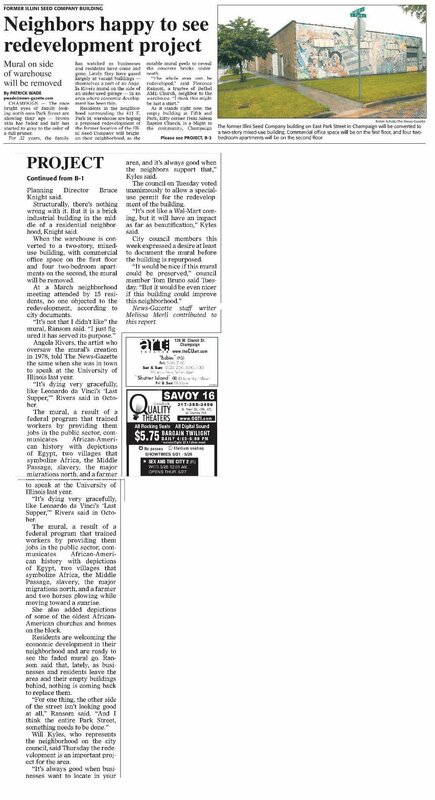 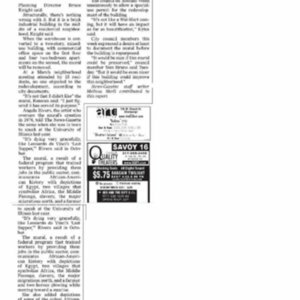 Patrick Wade, “News Gazette clippings May 21-25,” eBlack Champaign-Urbana, accessed April 19, 2019, http://eblackcu.net/portal/items/show/335.